In assisting a woman with her Hungarian relatives, one of whom came to the United States by way of a few years in Canada, we reviewed some of the records the patron had discovered before coming to NEHGS, including the “Declaration of Passenger to Canada” form (above left) that her great-grandmother filled out when she arrived in Canada in 1923. Like many arrival records there were specific questions about origins, the reason for coming to the country, whether the visitor intended to remain in the country, and who paid for passage. However, in the question devoted to where the immigrant was destined (within Canada), there appeared a cryptic notation: Gelly Colonization Dèpartment Canada Governament [sic]. 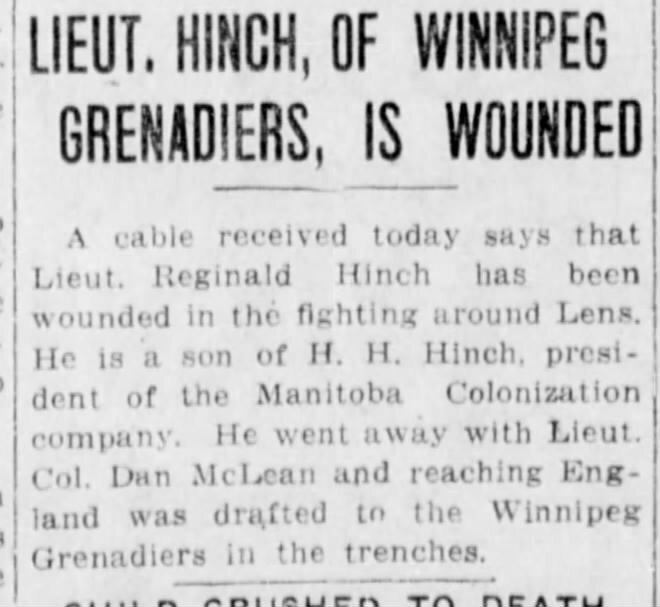 About six hits down on the first page of Google’s search results, I discovered a link to a Newspapers.com item from the 27 August 1917 issue of The Winnipeg Tribune which actually dealt with the discovery of two runaway girls, but within the article there was mention of “Thomas Gelly, Dominion immigration official.” On this same page, in a different news item, there was mentioned a man named H.H. 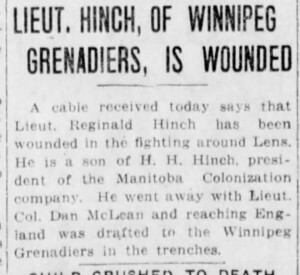 Hinch who was president of the Manitoba Colonization company. When researching immigration into the United States, especially by the 1900s, one should remember there were laws that had been enacted to prevent immigrants from having been promised a job to entice them to emigrate – contract labor laws. These were designed to protect the immigrants as well as protect those already in the United States from having their jobs given to newly arriving, and probably lower paid, foreign workers. So the idea that there were companies to entice immigrants to come and work was something new to me. It appears that in addition to making promises of pay and jobs in England, there were similar announcements and possibly even enticements to encourage farming immigrants to venture to the western Canadian provinces. As someone who enjoys learning about emigration processes and enticements as well as immigration rules and requirements, this opened a new avenue of research for myself – in my spare time – as the patron and I returned to her question. However, it was just another example of why genealogy and family history are such a great hobby. It seems that there is always a new opportunity to learn more about your favorite subjects with a field full of potential projects. So you can expect to find me trolling the internet and searching more newspapers, as well as manuscript catalogs and university catalogs in Winnipeg, to see what else I can learn with regard to these colonization companies. It could explain why certain ethnicities such as Hungarians, Italians, and Germans, to name just a few, immigrated to specific areas of Canada. And I am intrigued by the idea that Canada was offering jobs and actively encouraging immigration in a period of time when the United States seemed to fear it. Oh, I was hoping for an article on 17th- and early 18th-century immigration. In the present U.S., more than 140 years after the Great Migration immigration companies there were enterprises recruiting and importing settler-laborers from Europe. Look up Hasenclever and his two iron-works enterprises. And in the Library of Congress’ holdings of the George Washington papers there is some discussion by Washington and associates of recruiting Germans to colonize Ohio Company lands. These are just really easy-to-find examples. 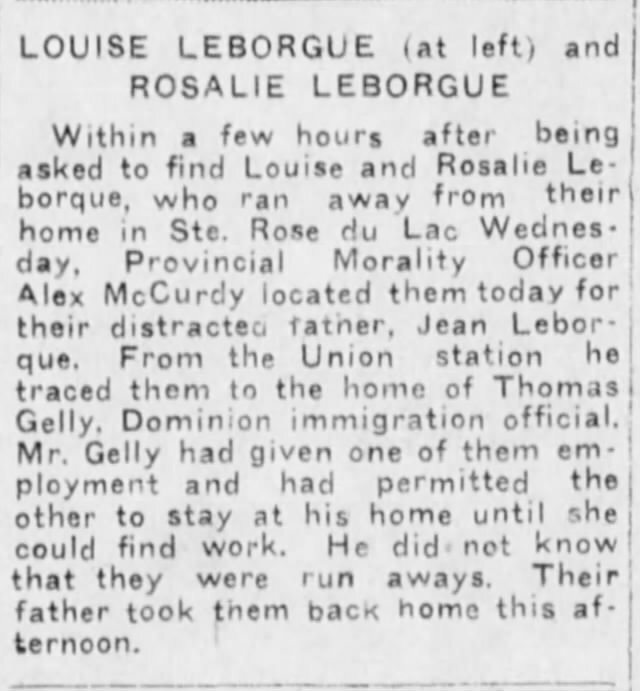 The story about the colonization officials reminded me of a story in my family about how my father’s parents came to live in Rhode Island, leaving behind life on the farm in the area of Quebec south of the St. Lawrence River. Reportedly, agents from the textile mills in the Pawtuxet Valley area of Rhode Island went to the farming villages in Quebec and recruited people there to leave the farms and work in the mills they represented. The agents offered train fare, a job and a place to live. 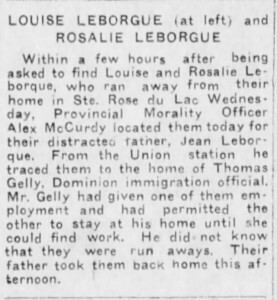 If that is true, it would help explain how entire families with “no money – none” as my grandmother put it, were able to move by train from Quebec and establish themselves in a new community in Rhode Island. But I’m not quite sure how that would fit in with labor laws. My grandparents came to RI as children in the time period of 1904 to 1907. Just out of curiosity, have you ever seen anything to document the existence of these agents who recruited people from Canada to work in the mills in that timeframe? There’s likely an article or two about this in Rhode Island History. You could try googling some variant of Rhode Island mill agents and see what turns up or go to RIHS website and email them for the reference. Such an article would be built off of a master’s thesis and/or a dissertation.